I reckon Kiwis have a lot to learn about cheese from Wisconsin. Like putting cheese into a cocktail. Yup. 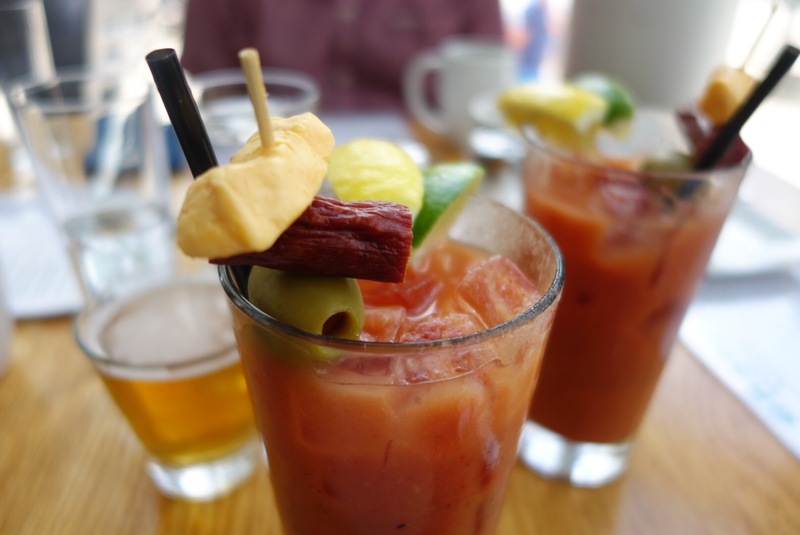 That’s a cheese curd, a sausage and an olive in my Bloody Mary. And because this is ‘Sconsin they follow it up with a beer chaser. What a State, what a cheesey odyssey. I spent a week in Wisconsin and hand on heart I can say I have never eaten so much cheese! They love the stuff, accompanied by a sausage and washed down by beer. Why I wonder does this joyful mid-Western State not rank high on every Kiwi’s must-see list? 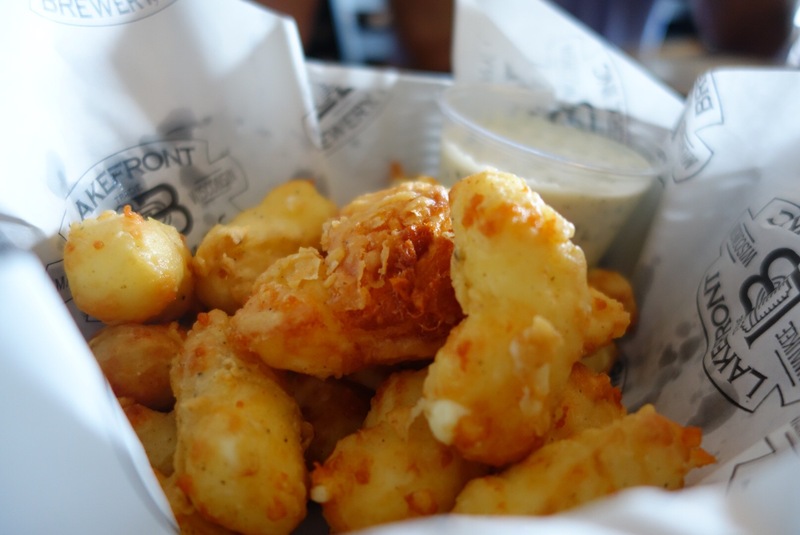 And why is it that I have waited so long to taste cheese curds? Salty, rubbery nobs of deliciousness. They are perfect with beer and make a filling, any-time snack. They squeak when you chew, more so when they are fresher. 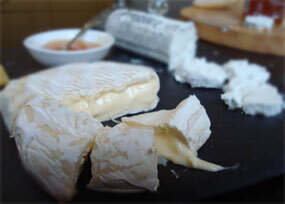 A quality curd, like Carr’s Valley, will have its date and time of making. They come in two colours, a creamy white and a yellowy orange. I think the only difference is the addition of annetto, a flavourless cheese dye common in American cheeses in general. You can also get flavours, but we stuck with the plain. Why gild such a lush lily? These joyful cheesey snacks are everywhere. 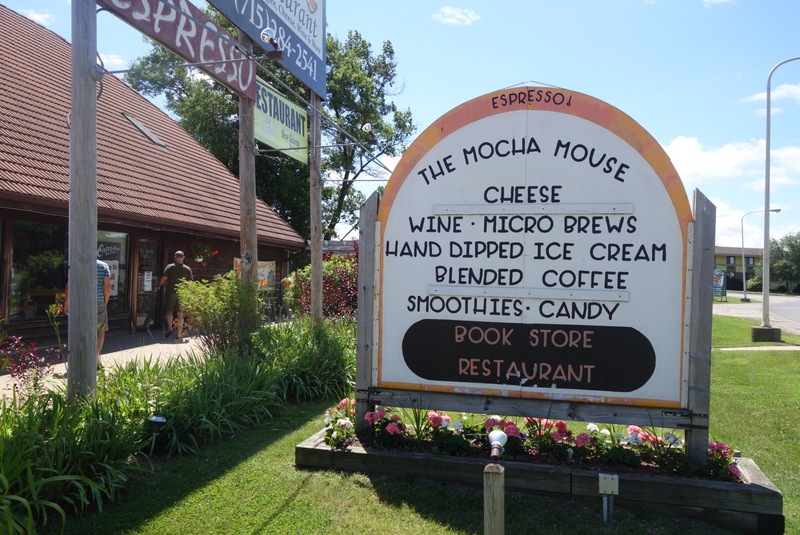 The highway towards Madison was regularly punctuated with cheese houses, small roadside stores where you could pick up bags of cheese curds and sample many of the State’s varieties of cheese. And don’t worry if you missed the cheese house, curds are in service stations, supermarkets and farmers markets. In bars and restaurants our salty snack takes on a whole new level in the deep fried version. The best we had was in a brew pub in Milwaukee, crisp and light with Panko crumbs, the insides melted like inside out cheese on toast. Spectacular with one of the State’s excellent IPAs. We sampled many of these in our journey through the dairy state. It was sad to leave Wisconsin. 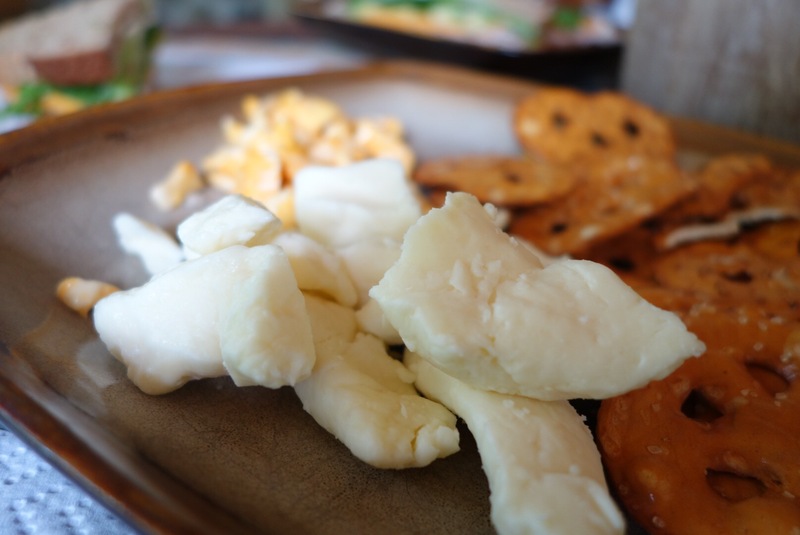 So i will take home some new found quests – a) encourage every one to visit, b) plan a winter visit for the snow, and c) figure out how I can get real cheese curds in New Zealand. 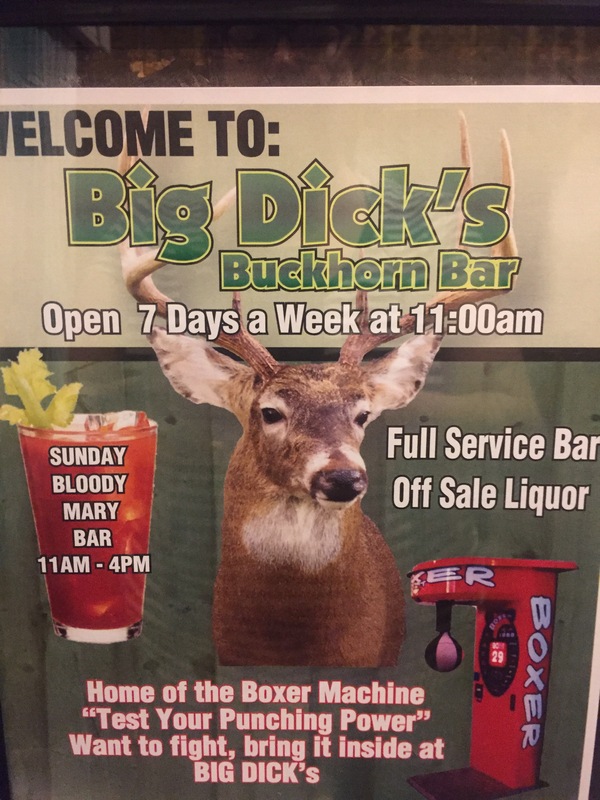 PS I had to share this, from a bar in Spooner, a cool, tiny town where we stayed at a cabin on a lake. Thanks for looking after us Brady! You can take the boy out of Wisconsin, but you can’t take the ‘Sconsin outta the boy! Ohhhh – that explains what BurgerFuel are up to with their fresh-cheese-curd-endowed Vladimir Poutine! I was all Whaat? 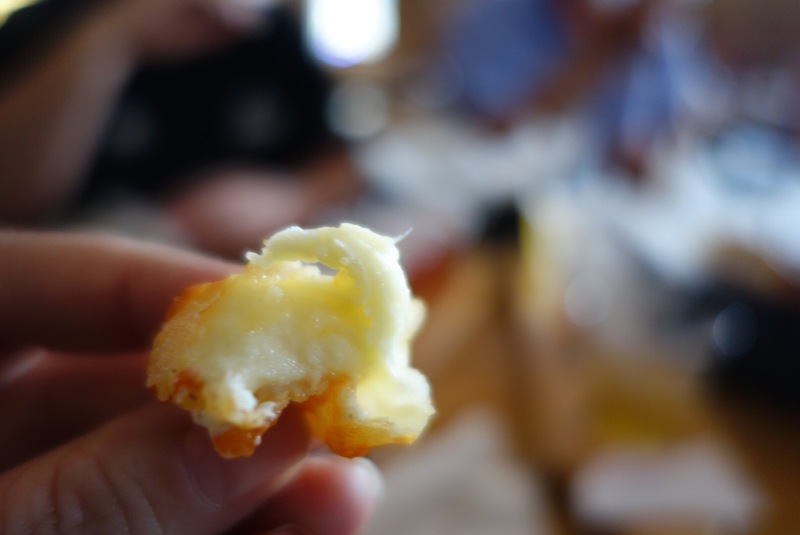 but if the curds are as good as you say, and BF’s got it right, then NZ’s in for a treat!! Ooh I look forward to it. Although I did have ‘poutine’ made with mozzarella at BurgerLiquor a couple of weeks ago which was good but not authentic. 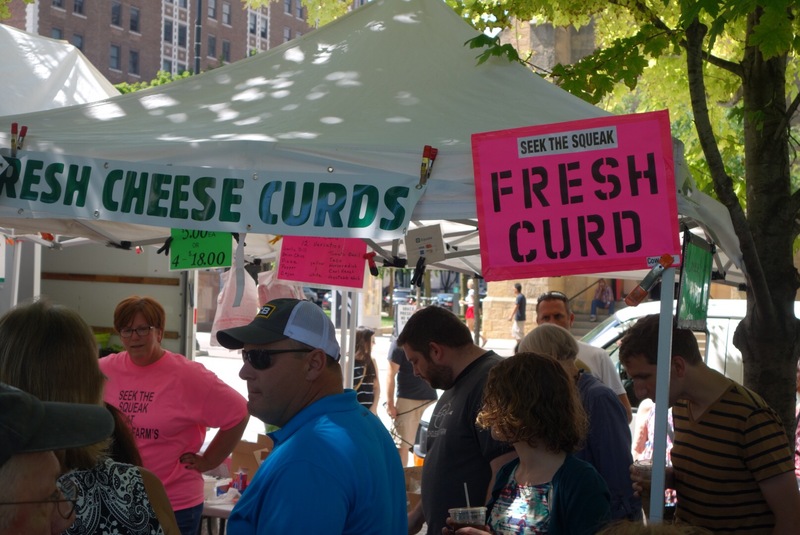 Fingers crossed for real curds! Want to know more about cheese? I’d love to help you with your cheesey conundrums. Got a cheesey question?